You may be wondering why on earth anyone would purposefully ferment anything!? Or you are like me and have been bit by the fermenting bug and want to ferment everything! Either way I hope to encourage you to give it a try! The health benefits alone are enough reason but the economic reasons are pretty great too! We live on a very tight budget, especially now that I’m not working! We stretch every dime and make every meal more, so why not do the same with our chickens? The amount of grain that they waste by scratching through the food is immense! 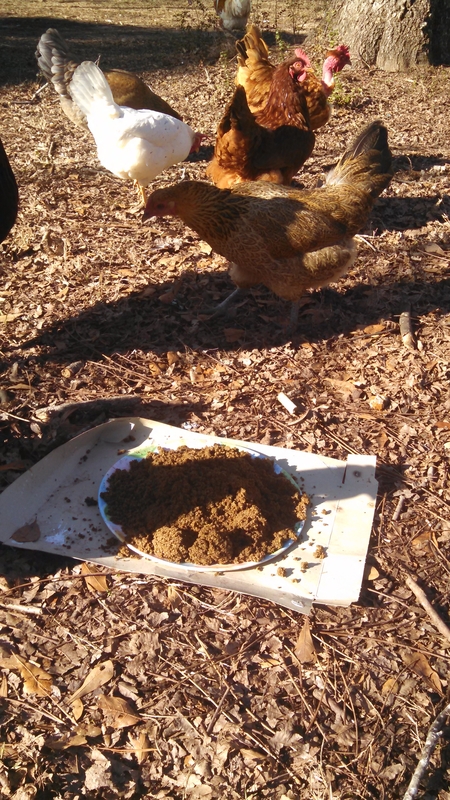 Also, many grains used in chicken feed are not very digestible so basically they poop out a lot more nutrients than they consume, wasting more food. 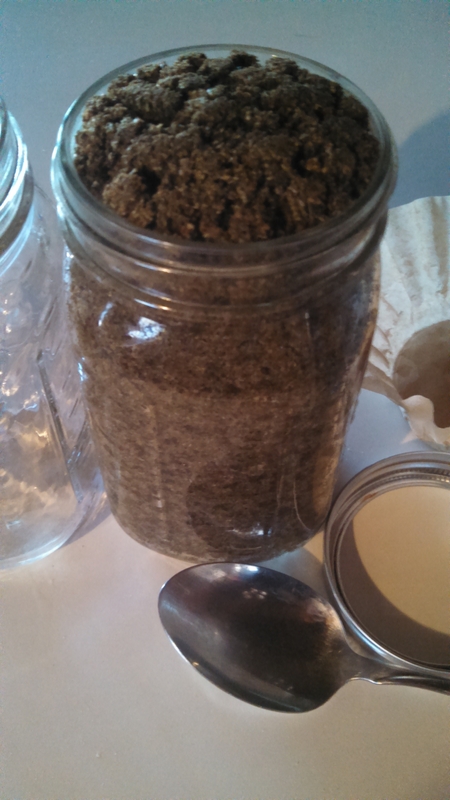 Fermenting their food before feeding it to them makes the grains much more digestible so they consume more nutrients. The fermenting process also adds many more vitamins and enzymes. As the grain is fermented in liquid they expand in size so you can give them even less grain and still fill them up! Feed and liquid is all you need! This process can be anywhere from 24 hours to five days depending on your environment. 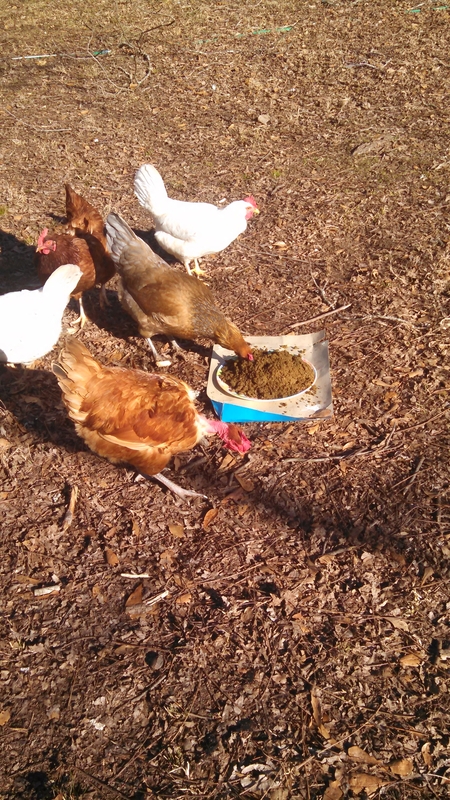 you will know its done if it bubbles or smells like a sweet and sour yogurt smell, kinda… So when it is ready feed it to your chickens for some happy, healthy birds. This can be done with any kind of feed whether pellet or seed and can be done in larger amounts and take a little out and add more feed as you go, like a continuous brew! Give it a try, see how easy it is to make something even better! Thank you for the incentive. 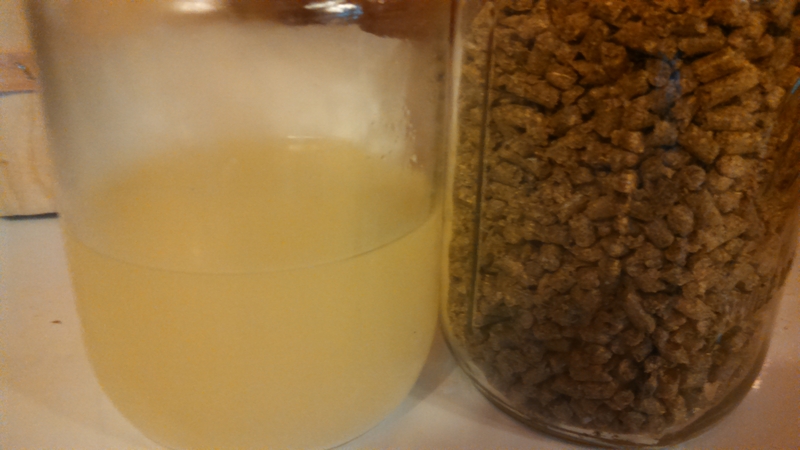 Using a food grade plastic pail with and airlock is an other way to do it. Great idea, especially for larger amounts!